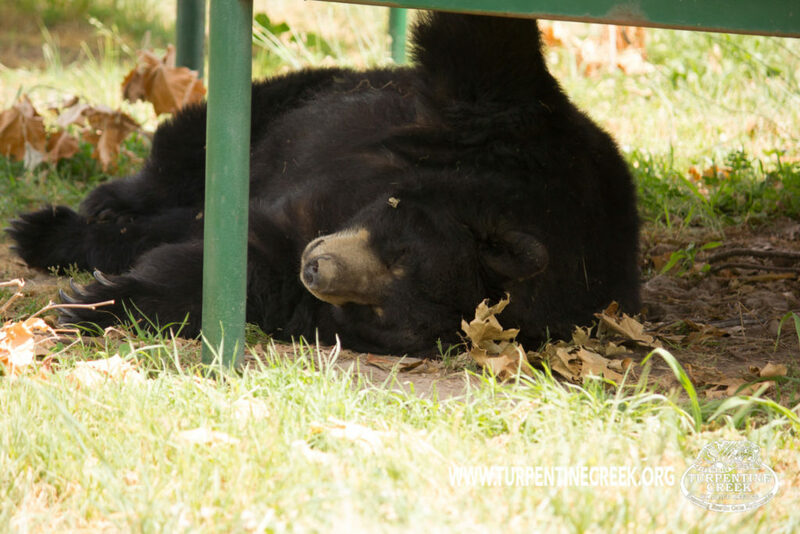 You are invited to join us on October 28, at 12 pm for the official grand opening of our two large, natural, bear habitats! Thanks to our wonderful supporters, we have finally completed the two largest habitats on property! 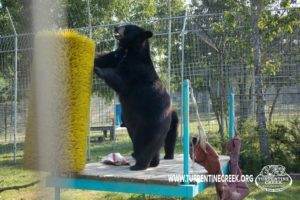 Filled with trees, in-ground pools, rock formations, and plenty of natural enrichment, these two habitats are ideal to house rambunctious bears. Popper, Xena, and Koda G will be sharing our 2 1/2 acre habitat. At first, the Xena and Koda will rotate days with Popper, but we hope this will only be a temporary situation. We hope to introduce the three within a few weeks after the habitat release. This way Popper get the chance to teach the cubs how to be bears. Huggy, Holli, and Lolly will share the other habitat. All three will be released together on the day of the habitat grand opening. Our hope is to eventually add live video cameras down in the bear habitat area, tracking collars so we can keep an eye on how the bears use the habitats, and offer up research opportunities to colleges that might want to study the behaviors of our captive bears. These habitats are a great opportunity not just for the bears that will be living in them but for the scientific community. This event is open to the public. Normal entry fees apply but no additional fee will be charged. Please make sure you show up before 12 pm so that you can catch the trolley down to the bear habitat area.